Every year, Mandy over at Limelight Papercrafts does a super fun photo scavenger hunt for World Card Making Day. :) Since I'm hosting this year, I'm not sure I can win BUT I would not give up the opportunity to play along with one of my FAVORITE challenges. You, however, should play along to win! The winner gets to pick out $10 worth of Limelight stuff as their prize! 1. Mismatched Socks. Hehe, you didn't really think you'd get away with not seeing my kids did you? 2. A card with no ribbon. 5. Sidewalk Chalk Art. Guess which part I did?? 6. The funniest thing you can find. 2 year olds are hilarious. ACK! I am SOOOOOO glad you played along! I love that it says "Hi Mandy" on your sidewalk! Bwahahahaha!! Too fun! Cute kid pics! I love Dr. Pepper too! 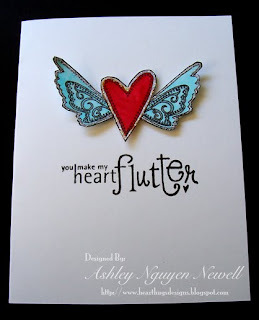 :) Hope you are feeling better and having lots of World Card Making Day fun! Great pics! I just love the all the pics of the kids. They are just adorable. Ashley your pics are so cute! OMG I just want to squeeze those adorable little boys! The "Hi Mandy" on the sidewalk is priceless! Adorable. How cute are these pics. clever chalking!